Ricardo Arona is a Brazilian jiu jitsu black belt under Ricardo Libório and the Carlson Gracie lineage, being a submission wrestling (no gi) legend, having won the ADCC on 3 occasions. Ricardo Arona also led a successful mixed martial arts (MMA) career having fought some the biggest competitors of his time, fighters such as Fedor Emilianenko, Wanderlei Silva, Mauricio “Shogun”, Murilo “Ninja”, among many others in the now extinct Pride FC promotion. Nickname: “Brazilian Tiger” was a nickname he received during his Pride Fc days. This is due to his tiger tattoos, and also because of Arona’s combat philosophy, were he often mentioned that “you need to be the Tiger [predator] and never fear your prey”. This chain of thought first came out when he gave an interview to Tatame Magazine. 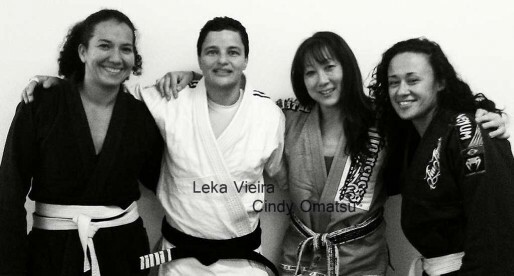 Lineage: Mitsuyo Maeda > Carlos Gracie > Helio Gracie > Carlson Gracie > Ricardo Libório > Ricardo Arona. Favorite Technique: “Baiana” / Double leg take down. Weight Division: Peso Pesado (Heavyweight). Association/Team: Brazilian Top Team, BTT (also Carlson Gracie). Ricardo Arona was born on July 17, 1978 in Niteroi, Brazil. Arona’s life changed in 1991 when he saw a Vale Tudo (No holds Barred) challenge between jiu jitsu and luta livre (Brazilian form of submission wrestling). The BJJ fighters cleaned the house and little Ricardo Arona thought “Damn, I want to do that too!” He had trained karate and was in judo at the time, but dropped it straight away to start jiu jitsu. His first experience wasn’t good, he didn’t like the teacher and after two months he changed academies to seek a more appropriate gym. After two years, and with a proud blue belt tied around his waist, Ricardo Arona changed teams again and moved to Master Lélio’s place. In a rudimentary classroom at Lélio´s garage, Arona (now 15 years old) started training with an all adults class. Masters Lelio focused a lot on no-gi and enjoyed wrestling. Something that they trained a lot as well as MMA. Training in this academy Ricardo Arona was crowned Brazilian National Champion (BJJ) in 1994, after this win he received his Purple Belt. By then, Master Lelio was very much aware of what huge talent Arona had, and knew that he wouldn’t progress in his small gym such as his. He advised Arona to pursue his training elsewhere, and the first door he knocked was Nova União. Unfortunately he didn’t feel well accepted there and decided to move on to the Carlson Gracie Academy. Ricardo Arona came to Carlson Gracie wearing his purple belt, he was 18 years old. His real ambition was to fight MMA but he was told that he was too young to start MMA as there were plenty of black belts at the club representing the team. Hierarchy was important in Carlson Gracie´s gym and Arona understood that, so he went back to training with the kimono/gi. During that year he won the Rio de Janeiro state championship and the Mundial (world Championship) earning his brown belt on the following year. The year he won the brown belt he went to win the Rio de Janeiro State Championship again and the Brazilian Nationals as well as the Mundial (also again) in his weight class, finishing second in the absolute division. Still that year he won the Brazilian ADCC trials (the biggest Submission Wrestling Championship in the world, being arguably Brazil the hardest trials to win). Next came his biggest achievement, the ADCC finals which brought him worldwide recognition. 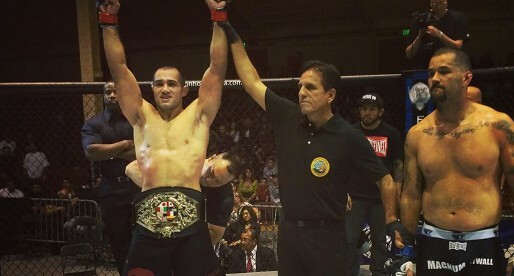 After winning the Championship in Abu Dhabi he received his black belt from the hands of Ricardo Libório (while still on the Podium), and shortly after the big win, MMA promotions started dropping contracts on his lap to go and fight in MMA, Ricardo Arona’s dream. It was hard for him to find time to put on a gi and train, as submission wrestling and MMA were his main focus from their on. Still he went on to compete at the World Championship, training only 12 days with the gi previous to the event. He finished second winning the silver medal in his weight class. A few years later he claimed that with time BJJ became a passion and that if it was monetarily viable he would have followed a career with the gi. Before he had joined the Pride FC Organization, he fought in RINGS winning the belt in what was one of the most prestigious organizations in the beginning of the century. Ricardo Arona’s conditioning has never been in doubt, always turning up in shape for his fights. He dedicated a lot of time developing ways to improve his strength and conditioning. For this, he says he likes to train with nature, having developed a set of exercises from walking against sea’s current to develop balance, running up hills on a beach for stamina and doing extreme manoeuvres while surfing in the beach of Itacoatira to test his adrenaline dump. Arona went on fight numerous times in Pride FC, one of the most prestigious organizations in the World (now extinct), after which he stepped back to relax. What he is doing now? In the Damn UFC or Not Fighting anywhere? Is he lost in the jungle or What?